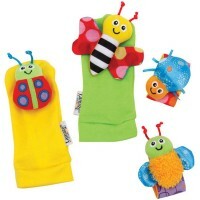 All Lamaze infant toys are designed to help infants and toddlers explore and discover about the world around them. Lamaze toys are developed around the Lamaze Infant Development System which includes 3 kids developmental themes: awakening the senses from birth to 24 months; exploring and experimenting from 6 to 24 months; moving and doing from 9 to 24 months. The Lamaze Infant Development System is designed to assist parents find the right toys that are developmentally appropriate for your baby. Bright colored, soft carefully designed, educational Lamaze toys will bring smiles for both children and parents.